What Is It Like to Adopt a Child With Down Syndrome? When I first became a mother, I remember all the ways I worried about my child. I rarely left my newborn out of my sight after coming home from the hospital. I remember constantly checking my baby’s chest throughout those sleepless nights, to make sure he was still breathing and healthy. 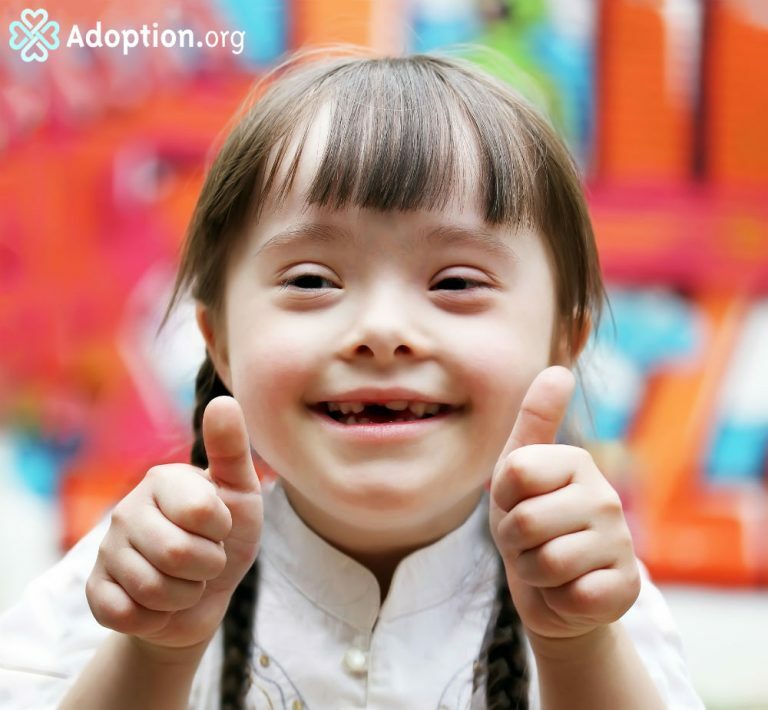 Can you imagine finding out that your child has Down syndrome? I would be completely overwhelmed and naïve to the situation because of my lack of knowledge and understanding. That parent is immediately asked to learn all this unexpected information on their child’s condition. That parent has to immediately jump into the special needs community for guidance, answers, and support. I can only imagine the state of worry in that parent’s most vulnerable state. I believe that parents of children with Down syndrome are just as special as their children. They are brave and strong. They are required more resilience as they guide their child through life. The child will know the physical appearance will look different than other children. It most likely means more love and emotional support required from the parents. They are at higher risk for certain medical conditions. They may require more appointments with doctors, therapists, and educators. So, how amazing are those parents who choose to parent children with Down syndrome? Heather Mitchell courageously became a birth mother in 2014. She is inspired to personally share how open adoption has incredibly impacted her life. She shatters the common misconceptions about birth mothers, and desires to provide a beautiful and unique point of view. Heather enjoys her grind as an administrative specialist for a millwork company in Wisconsin. While dedicated to her profession, Heather believes her most important job in life is motherhood. Her three children keep her busy, yet extremely overjoyed and purposeful. Her free time is spent reading, writing, or admiring the view of Lake Michigan, which can be seen from her front porch.